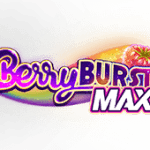 Betsoft and Microgaming appeal to all your senses in these 5 added slots! Betsoft and Microgaming blend illusion, a love of animals, the woman of your dreams and a legendary monster in 5 additional slots. Proving that the hand is quicker than the eye, True Illusions from Betsoft is a 5-reel, 3-row and 1 to 30 variable paylines slot with wild reels, free spins and bonus features. This 3-D magic-themed slot has a top payline win of 500 coins! 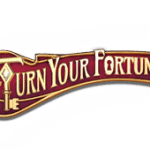 True Illusions presents all sorts of thematic prop symbols including the magician’s lovely assistant, a wooden chest, guillotine, coin trick, dove, top hat, crystal ball and handkerchief. 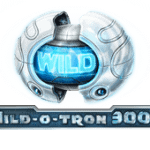 The wild symbol is free to pop up on any reel and replace any symbol except the cards and illusionist symbols and may appear fully stacked on the third reel. Here you will collect a number of free spins, with the stacked wilds frozen, totalling up to 7. The magician symbol is a scatter that can appear from thin air onto any reel. Three or more will unlock free spins mode where symbols cascade down and winning combinations vanish giving way to the possibility of new combinations as symbols above fall to fill the spaces. Finally, a bonus symbol in sets of three or more will trigger the bonus feature where you are invited to ‘pick a card, any card’ to reveal cash prizes. 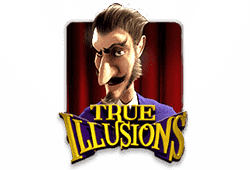 Play True Illusions Bitcoin slot for free. Further proof that the world has truly gone to the dogs, Hound Hotel from Microgaming is a 5-reel and 25 fixed paylines slot where you can win up to 110,000! This slot is mildly humorous, containing upper-value symbols made up of six different characters of the canine persuasion. The Hound Hotel symbol is a wild, appearing as stacked during the base game, which can substitute for any other symbol except the scatter. 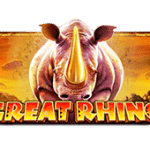 The slot also contains a second wild as part of the Dashing Wild Feature which is randomly triggered after a losing spin during the base game. In this scenario, three of these wilds are randomly positioned on the spaces for a chance to create a win. The Chihuahua porter is the scatter that can credit up to 37.50, 75, 750 or 3,750 with 2, 3, 4 or 5 symbols. The Hound Hotel Bonus Game is triggered with three or more scatter symbols. 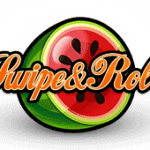 Here you are invited to select a hotel room on each of three floors to reveal your special wild, multiplier and number of free spins. It is also possible to collect an extra pick on the 2nd and 3rd floor. You can receive one of five special wilds: super stacked, expanding wilds, super wild reels, split wilds and wild reels. 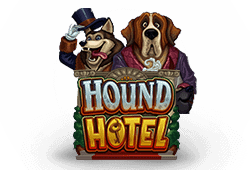 Play Hound Hotel Bitcoin slot for free. Where do felines stay when they’re in the mood for a few days of rest and relaxation? Microgaming answers this question with Kitty Cabana, the 5-reel and 25 fixed paylines slot where you can win up to 110,000! For cat lovers, this slot presents a humorous perspective of felines on vacation. It contains upper-value symbols made up of characters consisting of 5 cats. Feature wise, we start with the Kitty Cabana symbol which acts as a stacked wild during the base game, and can substitute for any other symbol except the scatter. Additionally, there is a second wild belonging to the Dashing Wild Feature which is randomly activated following a losing spin in the base game. Here, three of these wilds are randomly allocated on the spaces for a chance to create a win. The kitty is the scatter that can credit up to 37.50, 75, 750 or 3,750 when 2, 3, 4 or 5 symbols appear on any space. 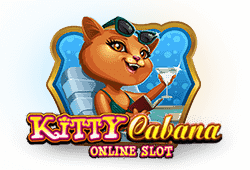 The Kitty Cabana free spins game is unlocked with three or more kitty scatter symbols, where you must choose a hotel room door on each of the three floors to reveal your special wild, multiplier, quantity of free spins and maybe even an extra pick. Regarding the special wilds, there are five possibilities: super stacked, expanding wilds, super wild reels, split wilds and wild reels. 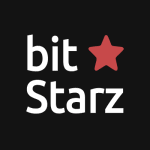 Play Kitty Cabana Bitcoin slot for free. Just the name Lady in Red, by Microgaming invokes memories of the song of the same name by Chris de Burgh. If you remember this classic song then the title of this next slot may have a little more meaning. This is not to suggest a connection, but this 5-reel and 25 fixed paylines slot with payouts of up to 375,000 coins sure does invoke the tune. The top-paying symbol is a red-headed – and as it so happens a red-dressed singer! This is followed by the image of her band, red roses and a glass of whiskey. 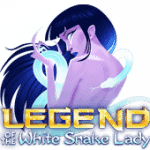 The slot has two main features: Lady in Red wild and free spins. The Lady in Red wild can turn up on any reel to act as a joker with x2 multiplier, while replacing any symbol except the scatter. You can win up to 125,000 coins. Next, the photographer camera is a scatter, that in sets of 2, 3, 4 or 5 will credit you with x2, x5, x20 or x200 your total bet. 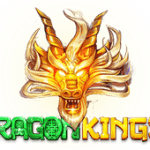 Collect 3, 4 or 5 scatters for 15, 20 or 25 free spins respectively, with x3 multipliers applied to your winnings. 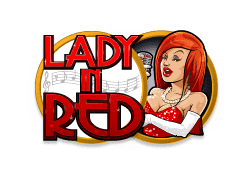 Play Lady in Red Bitcoin slot for free. 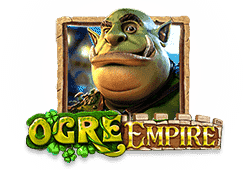 Betsoft Introduces the medieval tale of a Kingdom plagued by a giant ogre in this 5-reel and 25 fixed paylines slot called Ogre Empire. 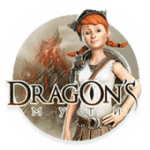 While the theme is based on fantasy, the reality is that the jackpot does exist, and can reach as high as 25,000! Ogre Empire enjoys 3-D graphics from Betsoft as part of their Slots3 series of games. The ugly green giant ogre – some might say resembling Shrek is seated to the left of the reels. The high-value symbols include the ogre, a blue diamond and pot of jewels. This slot has two modes: Day Mode and Night Mode. Night Mode is triggered by a fully expanded moon symbol, 3 spaces tall, which appears on the 3rd reel, while Day Mode is triggered by a fully expanded sun symbol on the 3rd reel. Each mode offers different features. During the day the ogre may smash low-value symbols off the reels to cause a cascading effect. The Sun Bloom Flower may proliferate along the reels, transforming 1 to 3 adjacent symbols into wilds. During the night, while the ogre sleeps, the Night Bloom Flower will transform between 1 and 3 symbols into wilds. Also the Q, K, A are replaced by higher value Queen, King and Joker with x2 multiplier, which is multiplicative meaning that they can combine to increase the multiplier. 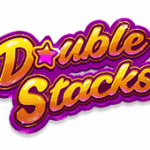 Finally, the Double Up Game offers a chance to play for double or nothing, after a win during the base game by predicting the result of a coin toss. Play Ogre Empire Bitcoin slot for free.